One of the recent ideas I’ve been thinking about is this, what is the most optimal and affordable minimalist shoe. The optimal part is kind of easy for me to determine these days. There is no lack of minimal shoe options available one the market right now. And I’ve tried several of them myself….I initially got a couple pair of vibram style 5 finger shoes. They performed well and held up for at about a year (I wear my shoes until they die lol…I know I shouldn’t do that but oh well). After that, I decided that I wanted to try and save money, while getting some minimalist, closed-toe running type shoes. I tried a brand called Tesla, and the first pair did fine, but they were a bit long and oddly proportioned. The next pair I bought, I sized down and I like the fit better, but the shoes wore out much quicker with this pair of shoes. Along with that, I’ve also typically owned a pair of low-top hiking/tennis shoes. I like these as a more durable option, but unless I want to spend more money, I don’t think I’ll find anything that would fit both the low-top hiking scenario and minimalist training shoe scenario well. So this brings me to my current situation, finding an affordable shoe that will also be a durable minimalist trainer. I’ve looked through all the commonly advertised brands recently like Vibram, Xero, Merrell, etc. and a good pair of shoes in the style I want runs between $70 and $100. I know that is not super expensive for shoes, but given that there is less material used and they are still likely only going to last about a year, I’m not that eager to pay that much for workout shoes. And that’s when out of desperation, I decided to wear my converse shoes to the gym, because the holes in my previous minimalist shoes had grown to epic proportions. As long as converse shoes have been around, and as little it has been advertised as a current mainstream workout shoe option, I was surprised how well they worked during a weight lifting session. The sole did good job of gripping the floor during my squats and dead lifts, and the canvas uppers did a good job providing some ankle support. I then wore them during a running session – I had good overall movement, there was similarly good ankle support during the run, and the soles did a good job of protecting my feet during impact on uneven surfaces. 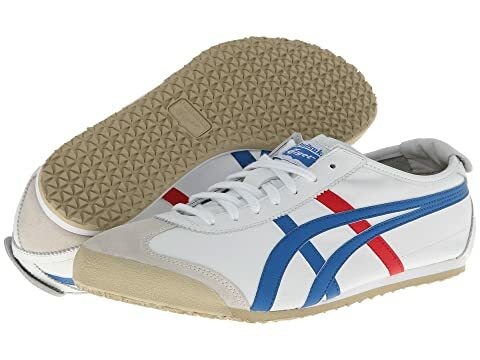 Further research on the internet revealed that other people agreed with my personal experience as well, and I’ve even used these shoes during my martial arts sessions in the backyard and they felt comfortable during my training sessions. Which brings me to the point of this post…is the best minimal shoe option (at an affordable price) an old school trainer like converse? The shoe world, in my opinion, does a great job of trying to optimize and improve every detail. And more often than not in the conventional shoes, incorrectly adding padding or extra material to provide support where it is possibly detrimental or unneeded for most people. If the shoe is designed well, it’s because it’s a unique design and therefore cost more than a shoe otherwise would cost. Previously, exercise shoes were designed with the simple goal of walking naturally in normal conditions while also functioning well during training or sports – which is the ultimate goal of minimal shoe. For me, converse shoes are a good expression of that. So, ultimately, I’m going to try training in converse for a bit. And while I’m using the coverse, I will look for other similar options. What are your thoughts on the minimal shoe options out there? Or are you still into wearing shoes that have greater arch support or more padding, and why? If you enjoyed my post, hit the like button, follow my blog for updates and share this post with your friends. Thanks for reading and have a good week! Post-initial-draft edit: I have since done a little research on shoe options since originally drafting this post and I realize I may have been a bit quick to dismiss martial arts shoes as an option. While there are some that are similar in cost to the minimalist shoes like vibrams, I saw some that are even cheaper than converse. Reviews of them online didn’t bring up any red flags for me and I might give them a try in the future. However, I definitely still group them in the converse-type shoe category in some ways because they look like they’re designed in the same way an older style trainer shoe would have been designed. Thanks for reading!